If you are a geek like me, and if you haven’t heard any of the following terms, you’ll probably google them immediately – Container technology, Microservices architecture, single page web apps (SPA), Node.js, mobile web apps, The Internet of things (Mobile awareness, sensors & wearables etc. ), web APIs – these are the current trends in the application development space. Almost all of them disrupt traditional architectural models. And the reason I point this out is because they’ll also disrupt your traditional software development lifecycle (SDLC). The number of code & deployable units is only going in one direction, and that’s up. Very rapidly actually! That means source code management, build management, deployment & release management, dependency management, all become so much more relevant and cumbersome. The ONLY meaningful way to make these kinds of disruption manageable is through a mature DevOps approach, and a robust platform to enable DevOps. Developers always want to do the new and coolest thing. 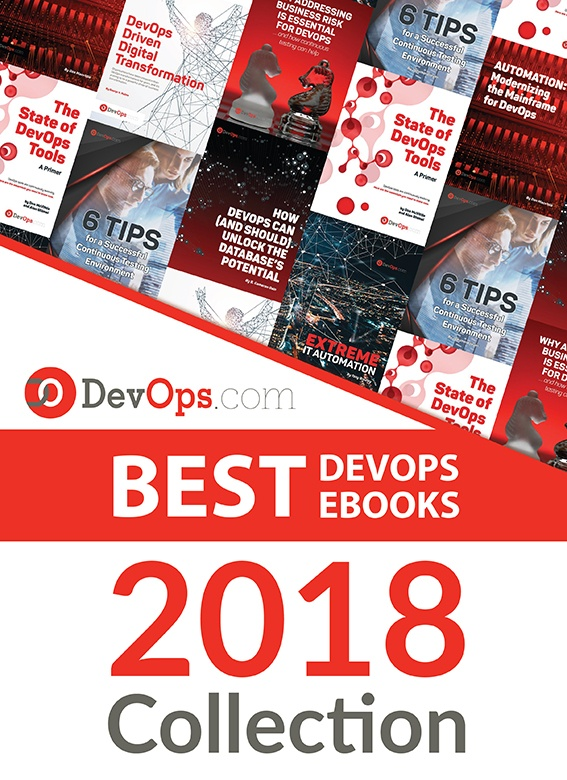 Enterprises will be well served to adopt a DevOps strategy NOW, before their own developers will cause so much disruption, that their IT strategy may fall flat. More and more enterprises are headed towards a hybrid model of IT which involves traditional on-premise data centers, public cloud, private cloud and consumption of domain specific Software as a Service & Platform as a Service capabilities. Hybrid model also poses the same kinds of challenges discussed with some of the new architectural trends. How do you manage releases across so many disparate entities and providers? A centralized DevOps strategy can help mitigate issues posed in a hybrid model to a large extent. But the question is – what about the corporate policies around security and governance? Do we throw away existing tools & capabilities around change management, ticketing etc.? Disruption is a good thing for innovation, but too much disruption can also lead to disastrous outcomes. One of the key challenges that I’ve encountered while implementing an enterprise DevOps solution is to integrate the platform with existing security models and tools. Not all of them work together seamlessly all the time. But the key to success is to evaluate where the gaps are, and only bringing in new tools or capabilities where necessary, and not just for the sake of it (sell a solution, not a bunch of products). One of my mentors in IBM used to say, that “a fool with a tool, is still a fool”. How true that is in the world of DevOps! Tooling is a key ingredient towards automation. In fact the concept of DevOps is not new at all, but the kinds of tools available today make automation possible in so many levels that was unthinkable a decade ago. But just providing a platform of seamlessly integrated tools for SDLC isn’t going to work. A level of “design thinking” is absolutely necessary towards DevOps enablement. A DevOps engineer should always be slotted in as a key member of this enablement team. Someone that can coach teams while starting new projects on – What elements of the tooling would apply for them? How to on-board the DevOps platform? What elements of automation are already available vs ones that’ll need to be newly created? What will be the roles and responsibilities of current team members in a DevOps world? – These are the elements that enterprises struggle with. Without a credible enablement program, a DevOps strategy is bound to be very slow in adoption, or just simply fail. An enterprise DevOps platform and enablement program doesn’t come for free. I’ve constantly been challenged with questions like – what Line of business (LOB) is going to pay for it? Can’t we just use “open source” and make this all free? Can we only pay for what & when we use? All these are fair questions. And the debate about centralized IT expenditure vs LOB expenditure isn’t a new one, and will not go away either. But DevOps is disruptive enough and WILL challenge some of these old ideas and habits. “Automation as a Service” is certainly a viable option that can be availed on a consumption model. Open source tools are available by the dozen. And what comes for free with open source tools is just the usage license, and nothing else. You’ll still have to integrate them with your platform, still write automation scripts and manage them, and enterprise grade tools are usually not totally free and there is some cost involved in acquiring and managing them. All that being said, DevOps IS very much an investment. It is an investment for speed of delivery, higher quality of deliverables through automation and perhaps some cost take out in the form of reduced or re-assigned resources that were performing traditional activities in SDLC. There are several models to ascertain return on investment (ROI) on such investments, but I’ll refrain from getting into that discussion in this article. I’ll just leave this with the infamous cliché – there is no free lunch! Typically I’ve been involved in DevOps strategy conversations for enterprises at the executive levels, and they seem to be all over it. They love some of the cost take out numbers when they see it, deployment cycle time reduction and aggressive time to market fascinates them. And legitimately so. Getting executive level buy-in and support is absolutely key for any transformation to be successful, DevOps included. But just a top down approach isn’t going to make DevOps successful. It is imperative to reach out to developers and architects under each tower or LOB and get their buy-in as well. Developers and testers love their tools and methods, and are very unwilling to give them up if the strategy calls for standardization of tools (which, by the way has to happen to some degree to gain efficiencies). DevOps also redefines roles in development and testing teams through the level of automation it brings in. This causes a lot of grief amongst the staff, and as a service provider and enabler, I’m sometimes perceived as the ‘enemy’, which is never a good sign for a successful transformation. Developers and testers also have the domain knowledge around how builds are done today, what the application component dependencies are, what test scenarios are more relevant and so on and so forth, information that is so critical to understand for automation. Make friends with the developers and testers to be successful. Sunil is an Executive Architect with IBM. He is currently the Application Development & Innovation (AD&I) DevOps offering owner for Global Business Services. He is IBM Senior Certified and Open group certified Distinguished Architect. His specialization are in the areas of hybrid cloud solutions, platform as a service and DevOps strategy. 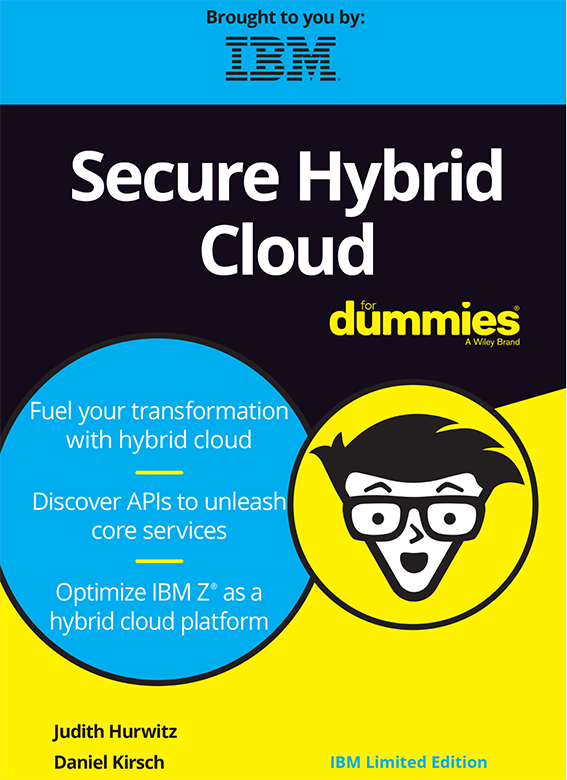 He’s created complex hybrid solutions on cloud and DevOps for large enterprises. Sunil has authored several IBM Redbooks, blogs and also a co-author of the IBM Cloud Computing Reference Architecture (CCRA). Sunil is passionate about international music, multi-cultural cuisine, active sports and mentoring school & college students on career path and technology.